Going to the fair was a popular outing on a warm summer or fall evening. The allure of the colored lights against the dark sky, the music which could be heard blocks away, and the soft sounds of laughter carried through the town were unmistakable. A ride on the ferris wheel, some fluffy pink cotton candy and a candy apple were among the highlights of the carnival experience. Children would save up their allowance in advance so that they might enjoy all the splendors of the fair. 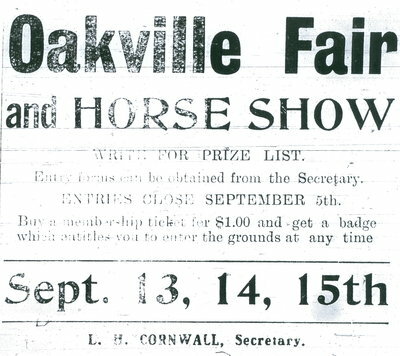 Game booths, livestock shows and other attractions entertained families of all ages for hours, making the Oakville Fair a community event not to be missed. June 15th, 1992 was the date of the first Oakville Waterfront Festival, but plans for this summer bash were well underway a year in advance. The Waterfront Festival was a collective celebration of Oakville's harbours and heritage. Events included, but were not limited to, regattas, raft-building contests, road races, street dances and sidewalk painting. The Waterfront Festival was an annual event in Oakville, growing to include performances by some of music's biggest stars. The festival was a huge success and an integral part of community life until dwindling attendance eventually caused it to cease operation in 2010. 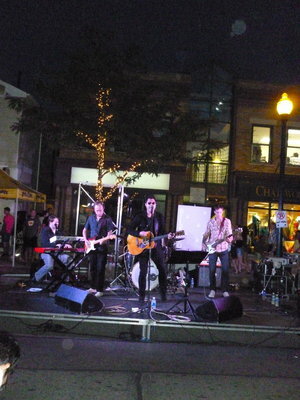 Downtown Oakville celebrated its first annual Autumn Festival on September 18th, 1999. The festival provided Oakville residents and tourists alike with a unique blend of family fun, shopping bargains, street performances, and demonstrations by local artists and musicians. Free hayrides that provided a tour of Old Oakville in all of its autumn glory, and a corn roast, were the highlights of the event. Downtown Oakville kicks off the Christmas season with its Tree Lighting Ceremony, typically held in late November at the corner of Lakeshore Road and George Street. Under the magic spell of the Mayor, all the trees lining the downtown streets are brought to life by the thousands of lights adorning their branches. Caroling, hot apple cider, and cookies add to the Christmas spirit which is alive and well in Oakville during the holiday season. 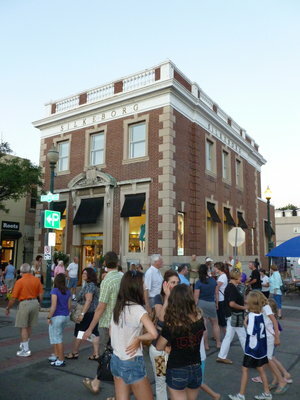 The Downtown Oakville Fashion Show is another event which draws in crowds. Models show off the season's hottest trends which are available in the downtown's many shops and boutiques. 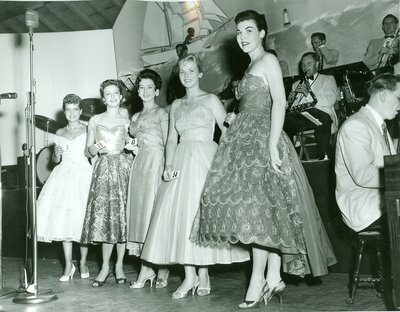 The fashion show kicks of Fashion Week, generally held during the first week of May each year, and has previously been hosted at the Oakville Club. Oakville's annual Midnight Madness attracts thousands to the downtown area on a Friday night in June, looking for bargains and some entertainment. The streets come alive with a flurry of eager shoppers, perusing stores and sidewalk displays. Multiple stages set up street-side feature local artists and musical talents from abroad. Demonstrations of ballroom dancing and martial arts can be viewed, and tasty treats abound. It is an enjoyable night that Oakville residents look forward to every summer. Every summer since 1992, the downtown Oakville Jazz Festival has attracted thousands of tourists and local residents to Oakville's downtown core. Outdoor patios, great food and entertainment, endless shopping and the smooth sounds of jazz all contribute to downtown Oakville's easy atmosphere during the festival. In early August, some of the biggest names in jazz come together to perform in one of the biggest and best jazz festivals around. Oakville's Jazz Festival is an experience not to be missed, offering residents and visitors the opportunity to enjoy first class jazz in Oakville's downtown. The information on this page is credited to various publications of The Oakville Beaver and its predecessors.